I've always had a liking for jogging. In college, I took 2 semesters of running. Whenever I had time back then, I would jog to keep fit and train for Tae-Kwon-Do. After college, I regularly jogged around the Marikina Sports Center to keep fit. I haven't been jogging for a while and I was hoping to get back into the jogging groove last year in time to trim down my weight for my wedding. Well, the floods last year and the wedding planning left me with practically no more time to jog. Fast forward to present: I'm married and we now live in a new home in Paranaque, which incidentally is a jog-friendly subdivision. So I figured I can get back to my regimen and start jogging again. 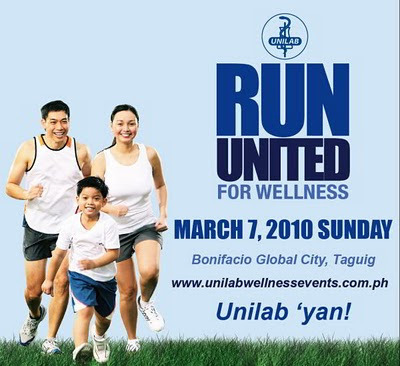 Coincidentally, I learned about the Unilab Run United for Wellness that's taking place at the Bonifacio Global City, Taguig on March 7. I got excited about this because even though I've been jogging for years, I never joined any marathon. Well this run is the perfect way to resume jogging and prepare for the event. I'm not getting any younger and I am more conscious of my health now than a decade ago where I could slack off. This event is not only about joining a run. It's a health and wellness event for the family with running as the core activity. Aside from the 3 km, 5 km, 10 km, and 21 km categories for adults, there’s also a 500-meter dash for kids to help parents get their children started on a fitness lifestyle. I'm personally excited to participate as this will be my first time to join such an event. 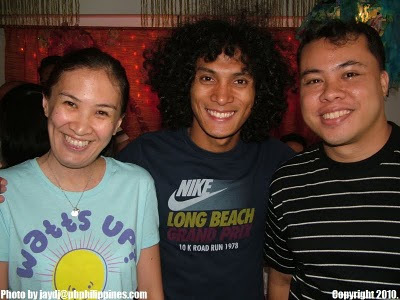 To add to the excitement, I was able to meet the renowned running & fitness coach Rio dela Cruz and his several international running achievements is an inspiration of what any one of us can achieve by running. To register, got o Planetsports Trinoma and Runnr store at Bonifacio High Street,Taguig. Registration is from Feb. 22 to 28. Top finishers can win cash prizes, Unilab gift packs, and New Balance gift certificates worth P5,000. Finishers in the 21 km category will receive a finisher’s medal. The first1,000 finishers in the 21K can also bring home a finisher’s shirt. I'll be joining the 5km run. See you at the finish line ! Its great to know that more and more are getting inclined to running. Lets keep this up and make a healthier lifestyle.